All PDF Converter Review: Are you looking for a good document converter that can convert your PDF files to different other formats. Then, you are in the right place to know about this amazing application. As any good personal assistant would, we’ve researched and highlighted the safest, most efficient and best PDF converter software and brought them to you in an easy to read format. All of the software featured are guaranteed 100% safe for your computer and can be securely downloaded and installed in a few minutes. In a few easy steps, you can become a PDF master. The need for a powerful PDF Converter is massive for those who have to do lots of works in computers and on the internet. Both Word to PDF and PDF to Word conversion are necessary. All PDF Converter is a PDF converter that converts a PDF file into seven other formats with batches.But, think about a tool that can take in a simple PDF file and convert it to seven different formats allowing you to get things more flexible. Yes, All PDF Converter is the perfect option for those who need to convert a huge number of files from one format to another. The extensive features of All PDF Converter allow users to get the jobs done wonderfully and accurately. 1. MS Word: The most common file format used today for texts is undoubtedly the MS Word. If you have a PDF file that needs to be edited, you can convert it into Word using All PDF Converter app where you will require multiple PDF files. 2. MS Excel: The most frequently used file format for analytics is MS Excel. It needs nothing to convert a PDF file to MS Excel if you have All PDF Converter installed in your PC. 3. 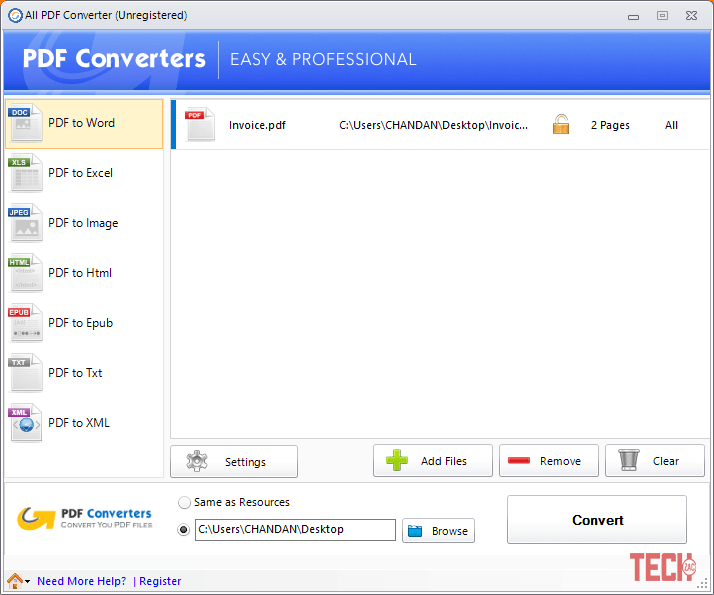 Image: A PDF to Image conversion is easier when you have All PDF Converter app. It does not affect the resolutions or other attributes. Rather, the PDF file is directly converted to an Image file. 4. HTML: If you want to post a PDF file to your website as textual contents, you will have to convert the PDF to HTML to get the proper codes. All PDF Converter does this instantly with no hassles. 5. EPUB: Need to convert a PDF file to an Open Publication Structure eBook (EPUB) one? All PDF Converter can do this in seconds! 6. Text: PDF to Text conversion is another thing that All PDF Converter offers. 7. XML: There is very little available on the net about PDF to XML, It is a way to structure data in a human and machine readable fashion, but can be used for main different things. Convert PDF to many different formats, This is the most arguable part of the review – why you should prefer All PDF Converter over any other similar software. Easy to handle, no complexities, requires one click to convert to the desired format.The ‘Dragging and Dropping’ option makes it more flexible.If the PDF file is a password protected one, the All PDF Converter does not change the attributes of the converted files. That means, in that case, you will also require passwords to open the converted files.Developers guarantee that the output files emerge with pin-point accuracy and higher resolution.Allows adding options PDF to HTML conversion. You can include/exclude images and the backgrounds for the converted HTML files.Need to convert a selected number of pages? 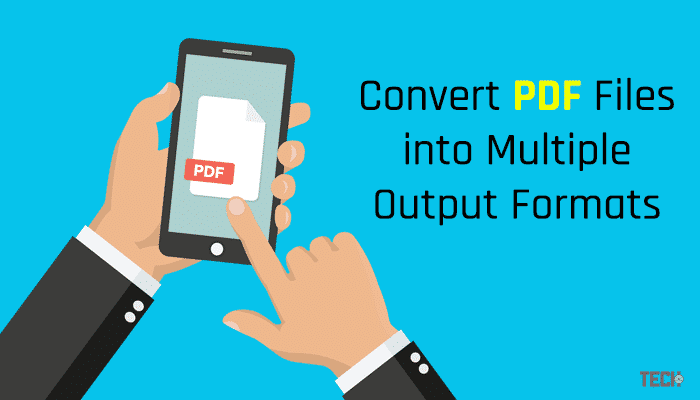 How to Convert Multiple PDF Files to Other Formats? Proper usage of technology can make life even simpler. But, you need to know what technology to apply and the entire application procedures. Anyway, PDF to Word Document conversion can be accomplished within seconds if you can use the proper software. A leading PDF to Word Document conversion software is the All PDF Converter. Using All PDF Converter is easy and comfortable. This desktop application can convert a PDF file into a Word document in just seconds. So, check the following steps to get to know how to do that. Step 1: Install the All PDF Converter software. Finally, the decision is yours whether you would use the All PDF Converter or not. But, the truth is that this application is so powerful that most of the other PDF converters are not close to it. Undoubtedly makes excellent software for conversion, though some users may complain this software is a bit confusing to use, but once you get acquainted with its interferences, you would most certainly LOVE this software. Thanks Gary, All PDF converter worked for you.